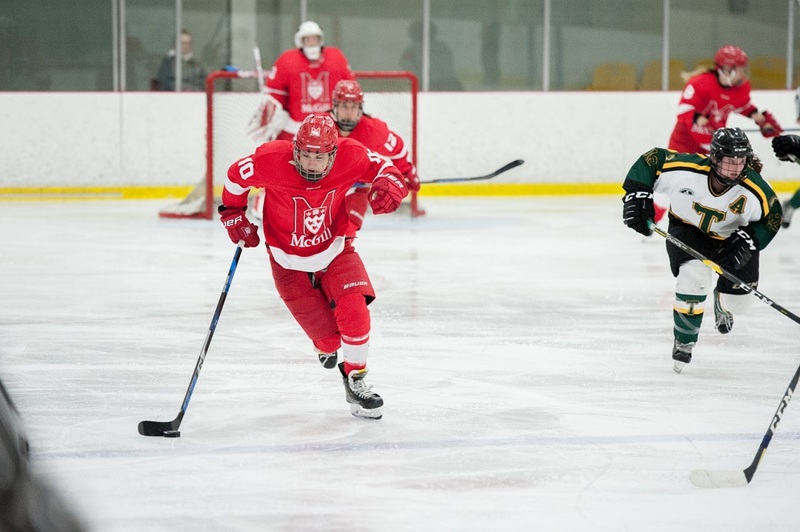 In convincing fashion, the fifth-seeded McGill Martlets stunned the fourth-seeded St. Thomas Tommies 10-2 to advance to the semifinals. 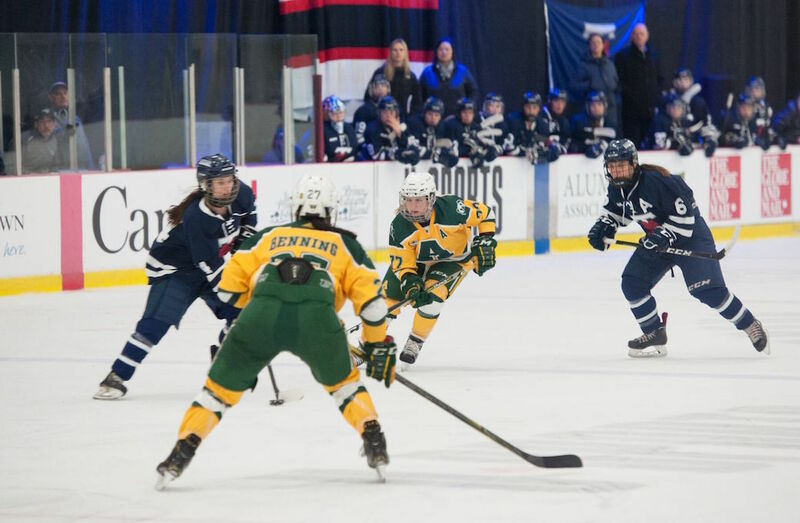 About three minutes later, the Tommies’ formidable duo of Emily Oleksuk and Lauren Henman connected on a goal – something they’ve done a lot of this season. Oleksuk skated in from the right and centred it to Lauren Henman, who tapped it home. 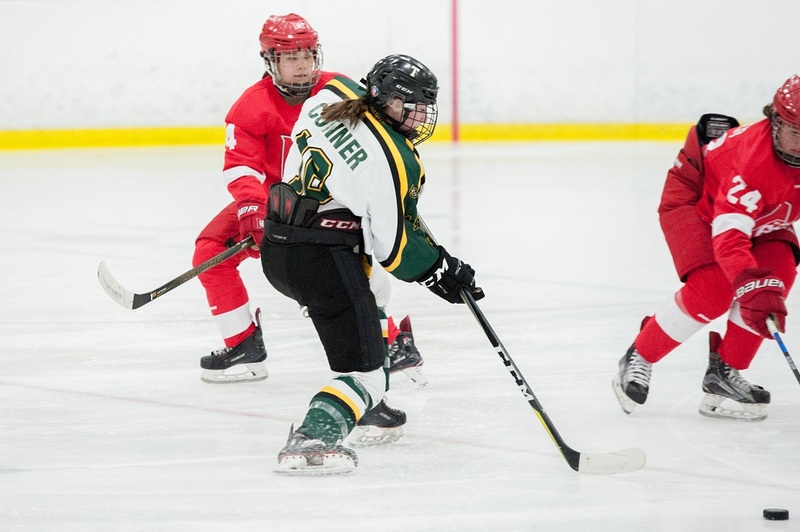 However, the Martlets didn’t let the goal get them down as they continued to attack with ferocity and made a usually-stable Clarke uncomfortable. With just under five minutes to go in the frame, Lecours bounced a puck off the end boards to Downie-Landry, who fed the puck in front to Dumais for the beautiful goal. 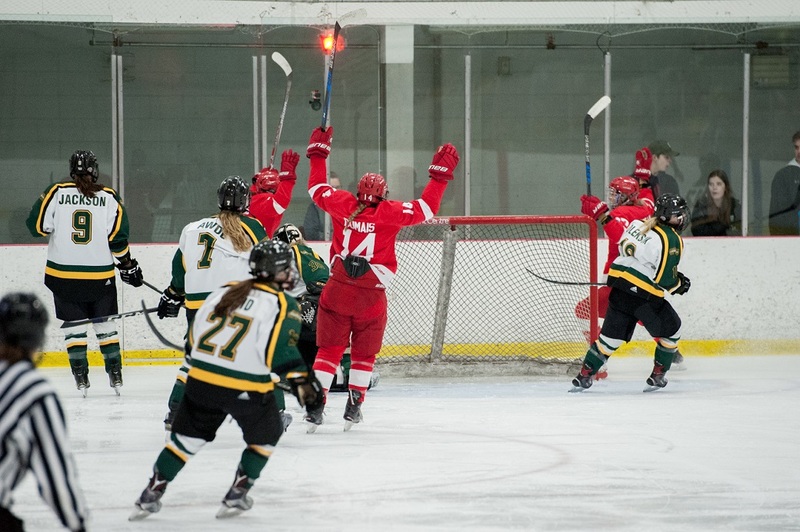 The Martlets weren’t taking any chances knowing they had a high-scoring opponent to contend with and just four minutes into the second, Lecours snapped a shot from the centre of the left circle to extend their lead 4-1. McGill wasn’t done scoring just yet. At 9:28 of the third, Lecours took a feed from Downie-Landry and wristed it past Taylor Cook, who replaced Clarke after the eighth goal. While on the break, Downie-Landry closed out the scoring six minutes later with a shorthanded marker. 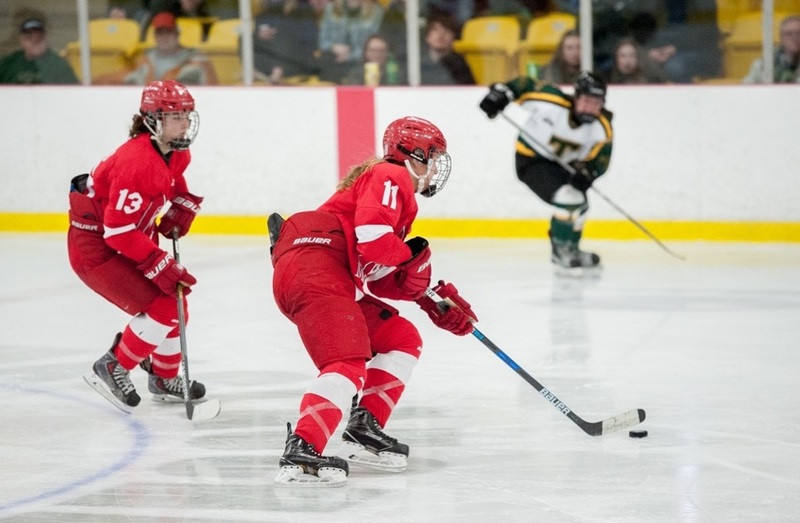 Looking ahead, the Martlets now have to contend with the Alberta Pandas and their top-ranked defence in Saturday’s semifinals at 6 p.m. ET / 3 p.m. PT.